After a momentum-changing oval stretch for KV Racing Technology, the three-car was confident they could carry their fortunes into the Honda Indy of Toronto. The second Friday session, de facto team leader Tony Kanaan maintained a top-10 time through both practice rounds. In the afternoon practice Friday, Kanaan and the #82 team posted a 5th fastest time of 1 minute, 1.013 seconds. In Saturday qualifying, the Lotus green vehicles were off the pace with the likes of Penske Racing and the Chip Ganassi Racing cars. After time trials, all three drivers for KV Racing Technology starts deeply entrenched in the second half of the race lineup order. In 19th place, the sophomore driver Takuma Sato starts the #5 car well off the pole position the Japanese driver captured at Iowa Speedway. In morning practice, Sato was 8th fastest on track for the IZOD INDYCAR series. Through the follow-up practices, Sato and the #5 KV Racing Technology team were unable to improve their pace falling down the time sheet. One position ahead of Takuma Sato, EJ Viso has had a more progressive improvement on the Toronto street circuit. Capable of just a 19th quickest time in the first session Friday, Viso and the #59 team moved up to 8th by Saturday's practice. Mentioning the team was trying different setups in the Saturday practice ahead of qualifying, The #59 car was not fast enough to move the Columbian driver out of the first round qualifying session. Providing the team-best run, Tony Kanaan is positioned 16th for the start of the Honda Indy of Toronto. Last season, Kanaan started 11th for Andretti Autosport on route to a 4th place finish. In post race comments, Tony Kanaan commented on the qualifying effort saying, "We left with seven minutes to go and on my fast lap I got blocked twice and missed out on moving up to Q2. I believe that I had a top-six car, so it's a shame that we're going to start mid-pack." 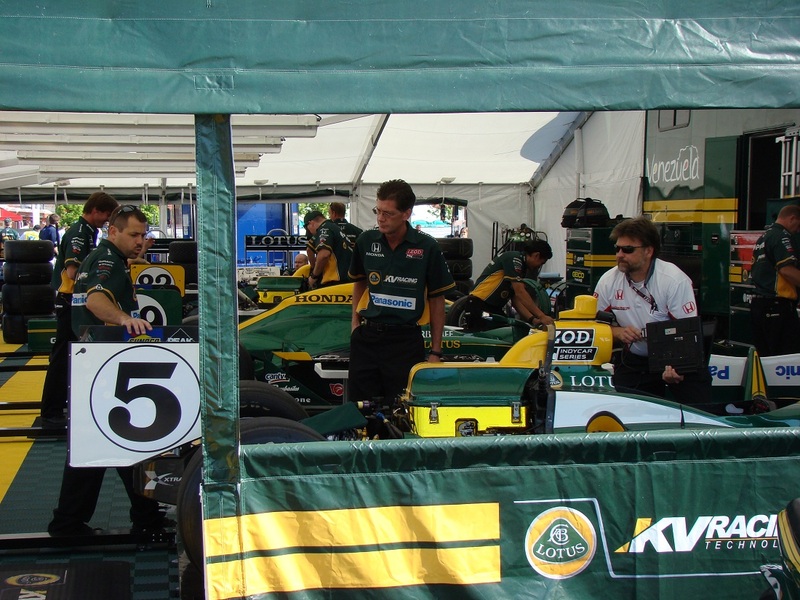 A drastically improved team over last season, the Honda Indy race for KV Racing Technology is still an opportunity to observe a front-running team in the making for the 2011 IZOD INDYCAR series.